26TH January is the day fixed for Kutumba sammelan, at Anandadham every year. On this day, all the parents of Sishuvihar students and ex-students, well-wishers, yoga satra and Varga, Samskarvarga members, close well-wishers all come together along with their family members to spend the day as one family. Games for all ages, talks and lastly eating together.This year too, there was a gathering of a mixed group. Members of Samskara Varga of Edavilangu too joined this time. A total of 130 members were present. 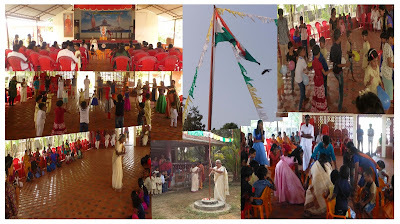 After the flag hoisting by Mananeeya Lakshmi Didishe give a short talk. 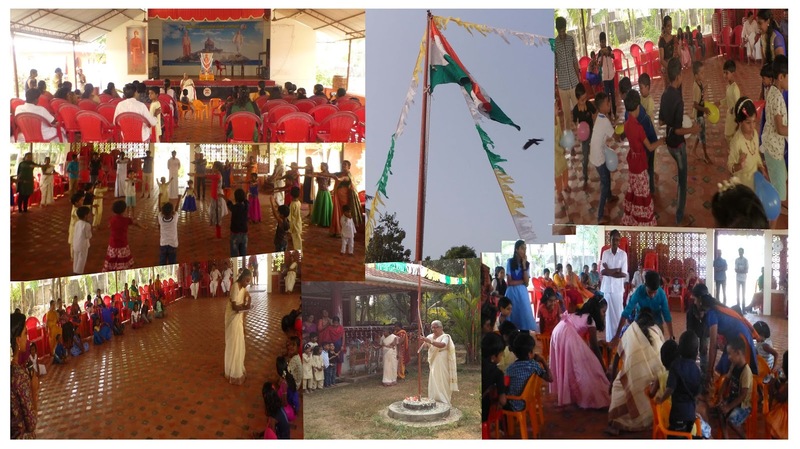 Su.Bindu, Anitha teacher, and Samskarvarga leaders conducted games for the different age groups. Having lunch together gave that feeling of ‘samgacchachdhwam, samvadadhwam’.